With less than 3 weeks to go until the Weston A. Price Foundation’s Wise Traditions Conference in Atlanta, Aaron Zober brings on the debaters for the Farm-to-Consumer Legal Defense FundRAISER Dinner. For the Fundraiser Dinner in Atlanta this year, there’s an extra bonus of a Lincoln/Douglas style debate on whether the federal government should mandate labeling of genetically modified organisms on food products. Taking the side for government labeling is Dr. Joseph Mercola. Debating the position against GMO labeling is Joel Salatin of Polyface Farms. First, Aaron interviews Dr. Mercola. 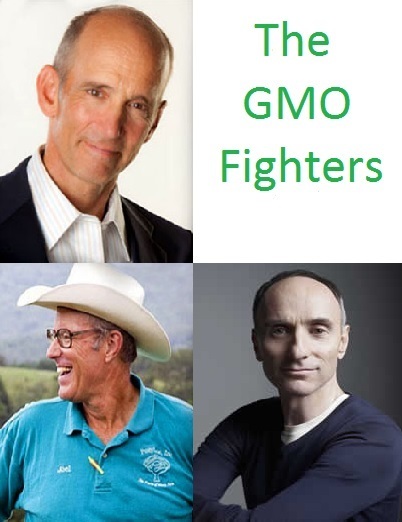 Mercola gives reasons why he believes a direct democracy for labeling genetically foods will help us eliminate GMOs. Then Aaron brings on Joel Salatin of Polyface Farms. Joel explains why government is not the answer to avoiding genetically modified organisms and what he sees as the solutions. Finally, Aaron closes the show out giving a special interview with GMO expert Jeffrey Smith. Jeffrey talks about the I-522 ballot initiative to label genetically modified foods in Washington state, what our next step will be after that, and some foods that people might not realize contain GMOs.